PaintScratch.com sells the highest quality Subaru paint pens for all Subaru years and models. Order a Subaru paint pen for your vehicle by clicking your model above. Next select your Subaru year and color order your Subaru touch up paint pen. PaintScratch loves Subaru's vehicles. We're based up in the snowy Sierra Nevada mountains so the AWD has saved us from getting stuck countless times. We've driven through as much as three feet of freshly fallen snow, and through some seriously rough terrain. Just like you, we've also gotten our fair share of paint scratches, chips, and dings along the way. 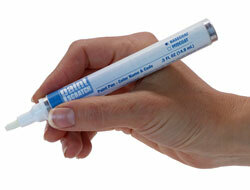 We sell Subaru touch up paint pens so you can touch up small areas of paint damage easily and quickly. From a 2007 Impreza Wagon painted Urban Gray Metallic (we've owned one of those) to a 1997 Outback painted Glacier White (yep, we also used to drive one of these too), we've got the highest quality Subara touch up paint pens available. Just click your model and order a touch up paint pen of Subaru paint today!